It's called Indian Joe Brewing after a great uncle, well known in parts of Southern California at the turn of the century (the 20th!) 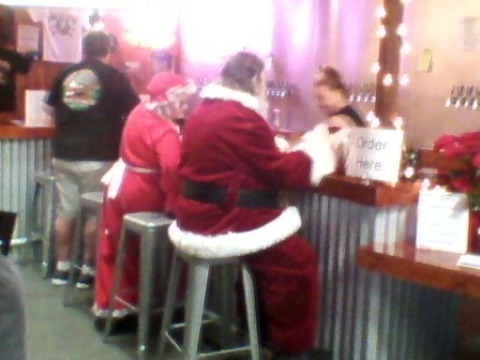 as a brewerâ€¦and everybody knew Uncle Indian Joe. Now, everybody can taste what he inspired, thanks to nephew Max Moran, a Luiseno indian. Max wanted to start his brewery back in 1985, when craft brewing was just getting startedâ€¦but he needed help. He asked a friend who said, "Nope" so the dream stoppedâ€¦at least for awhile. 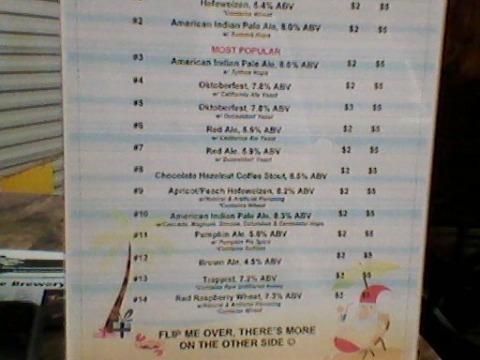 When the micro-brew idea was exploding in the late 1990's, the friend came back and said, "let's do it" -- and they did. 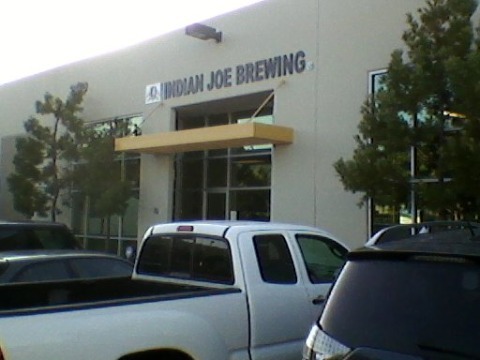 Opened for only 45 days, Indian Joe's sits in a large industrial park in Vista which sports several other breweries including Iron Fist, Aztec, Mother Earth and Latitude 33. With that kind of competition so close, you'd think Max would have had second thoughtsâ€¦.but no! He wasn't to be deterredâ€¦not again. 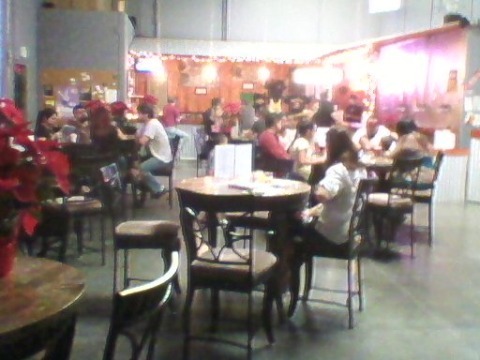 The tasting room is friendly with tables and high chairs for about three dozen; an L-shaped bar with but one TV (no sound, thank you very much!) offering plenty of room to drink and gab. AND, I've never seen an offering like this anywhere. 24, count 'emâ€¦24 beers on tap along with a home made root beer; everything from the basic Budweiser knock-off (because people still want that light, crisp, non-offenseive, tasteless yellow stuff) to a chocolate hazelnut porter AND stout (that comes complete with whipped cream should you so desire) to a pumpkin beer dusted with cinnamon! All of it sounded so good! Wife Persimmon & I grabbed our 8 taster tray and found an empty "teepee." Sadly, this fire-water has no spark. 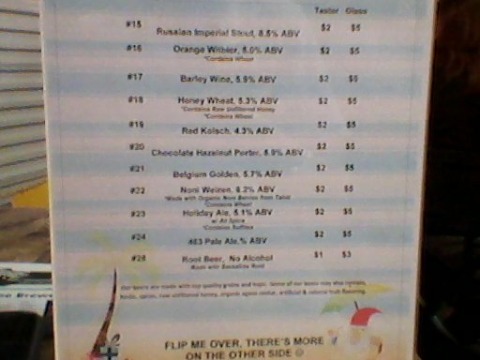 I wanted these beers to be delicious, I really didâ€¦but for both of us, they allâ€¦ALL of themâ€¦.were much too watery. 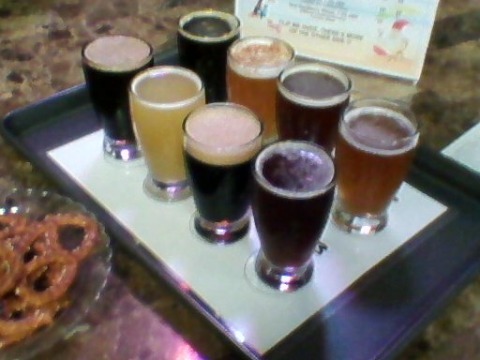 The stout and holiday ale came closest but the pumpkin tasted like medicine; the pale ales lacked punch. And at $2 a taste, they were also the most expensive I've ever encountered. However, apparently there were 2 well known celebrities who took a moment away from their increasingly cumbersome duties to sit and knock back a couple. Therefore, perhaps I'm just filling the prairie with bogus smoke signals. I wish Max and Indian Joe's great successâ€¦I do...but I'm gonna march my band of cavalry back across the plains to another fort.